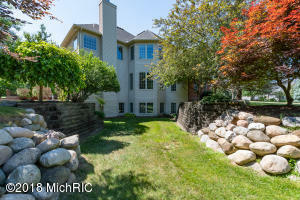 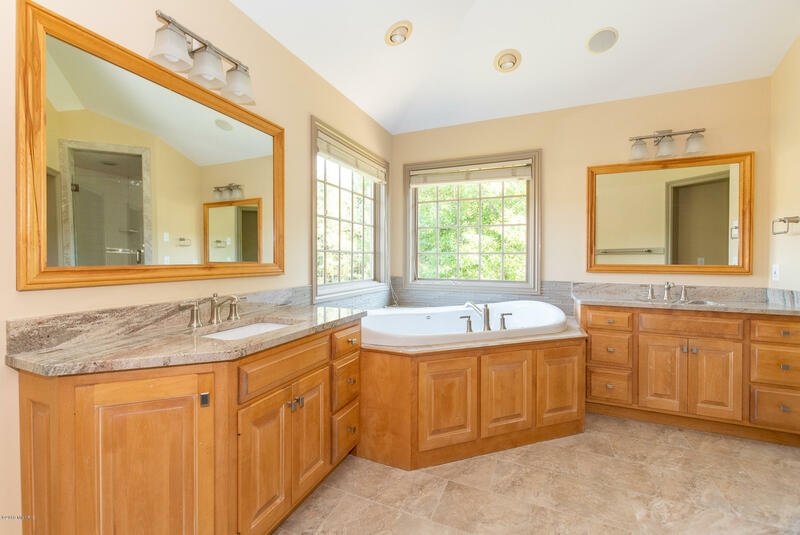 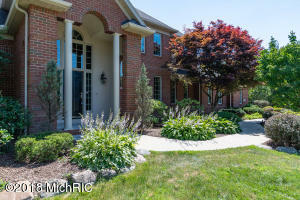 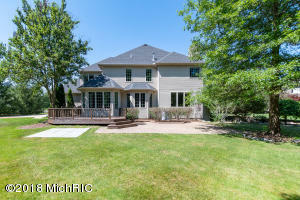 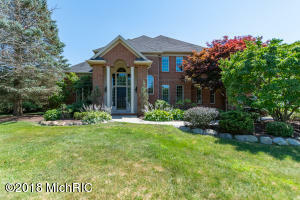 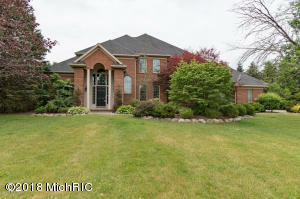 Custom executive home in Whispering Meadows built by Glas and Associates, former parade home. 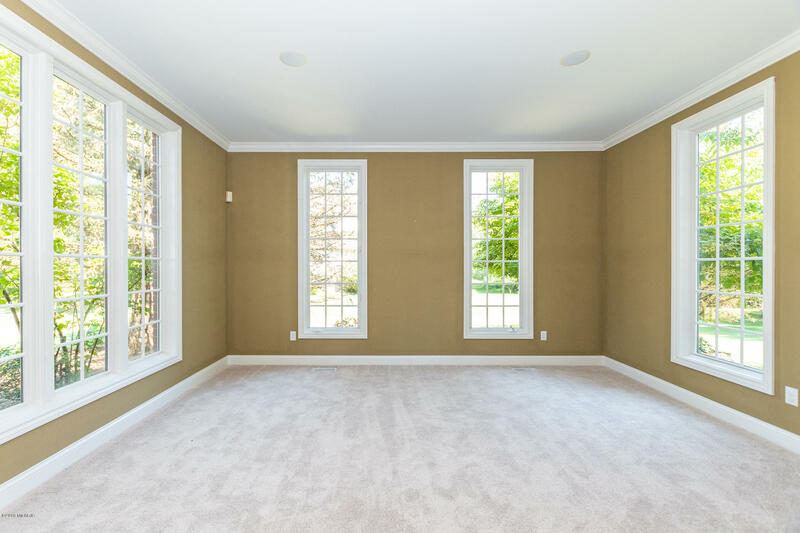 Portage School system. 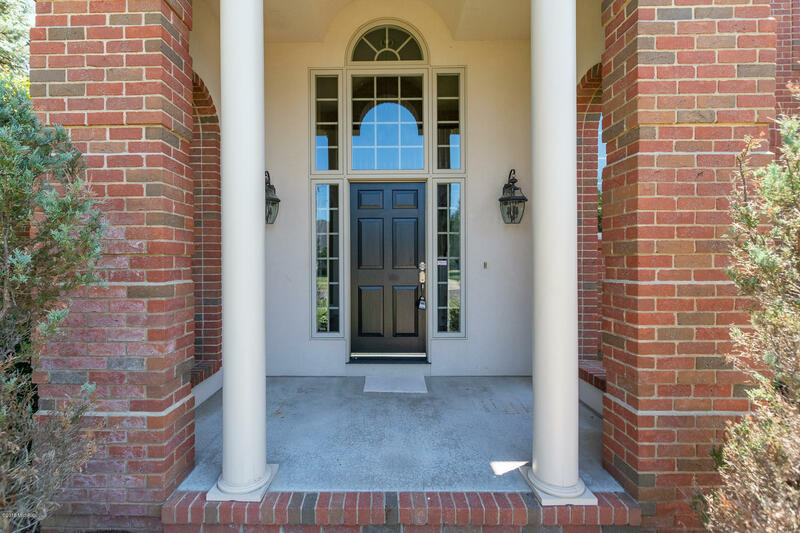 Timeless brick exterior. 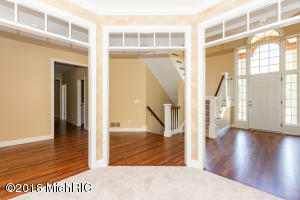 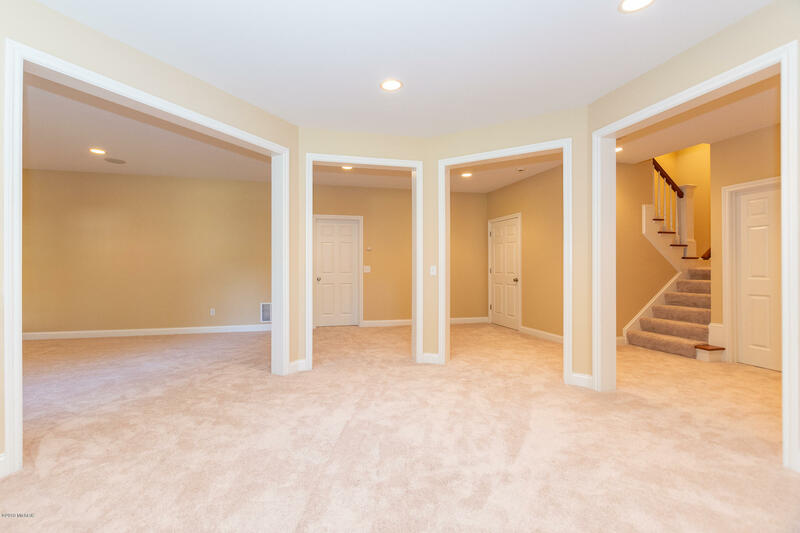 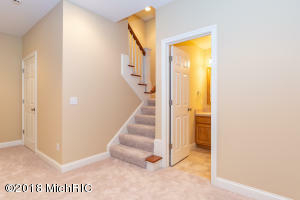 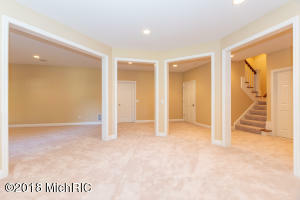 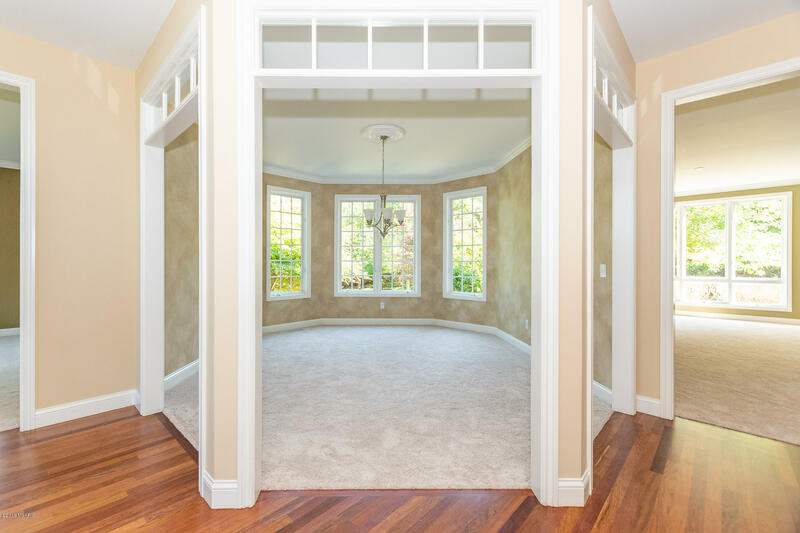 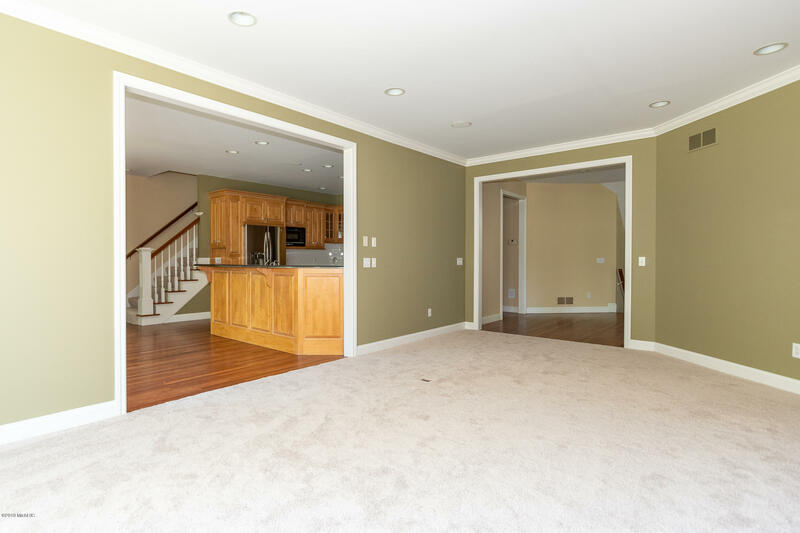 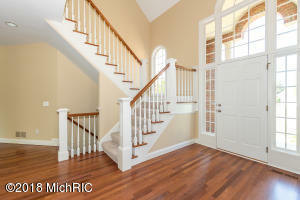 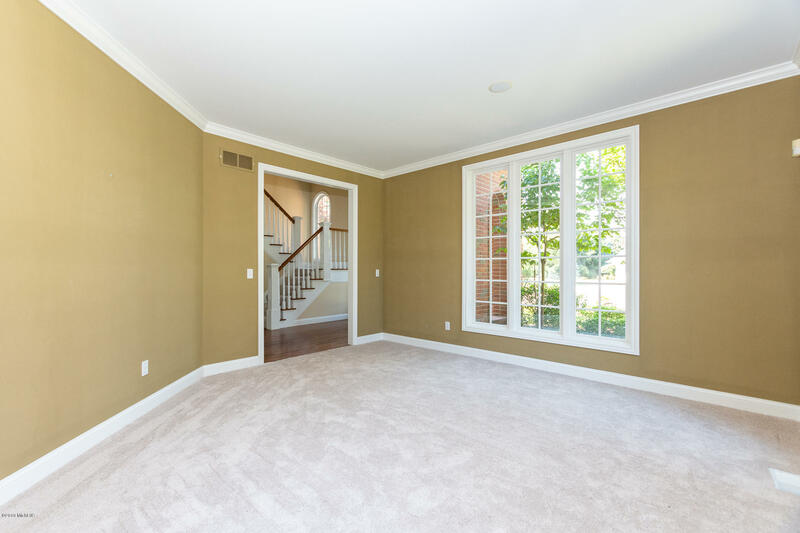 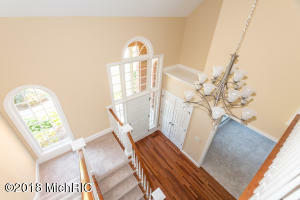 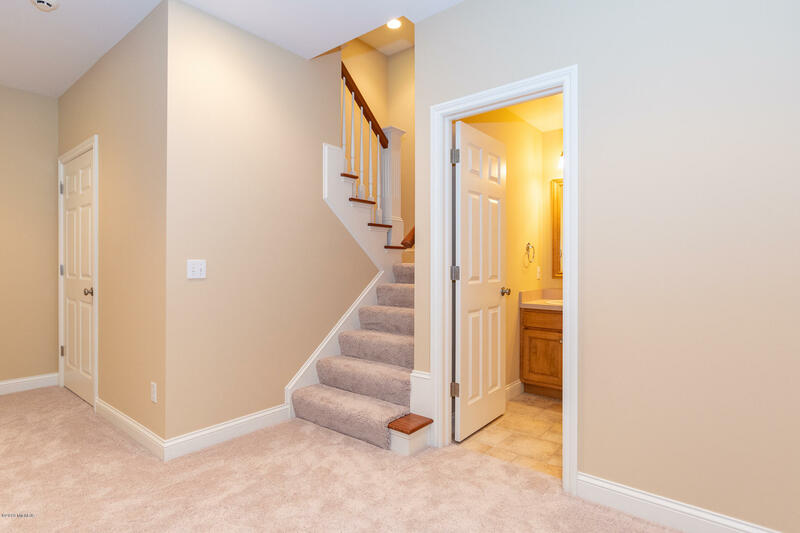 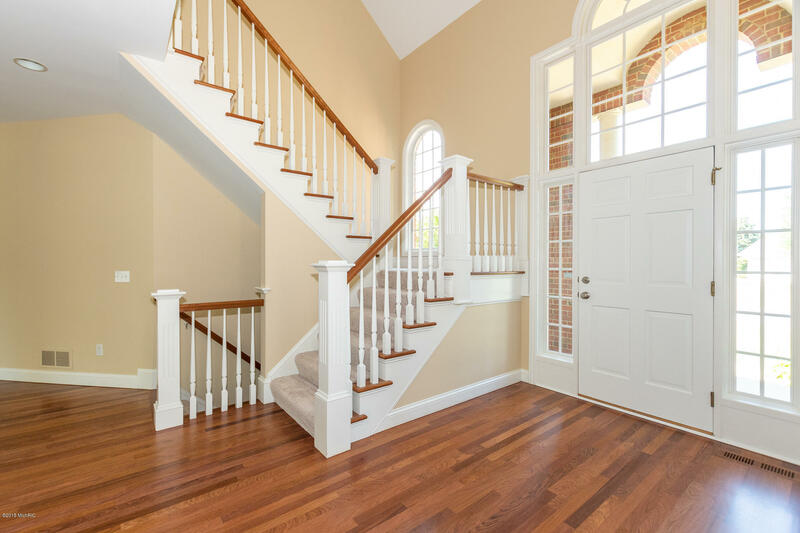 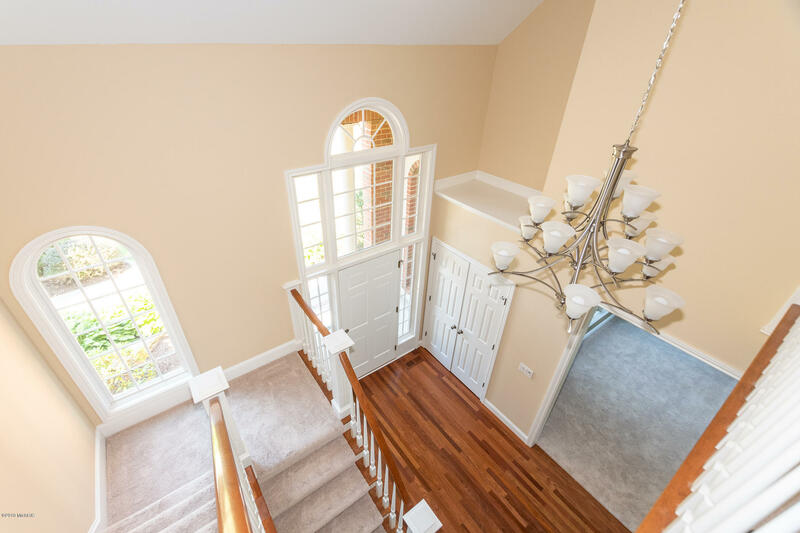 Welcoming two story foyer. 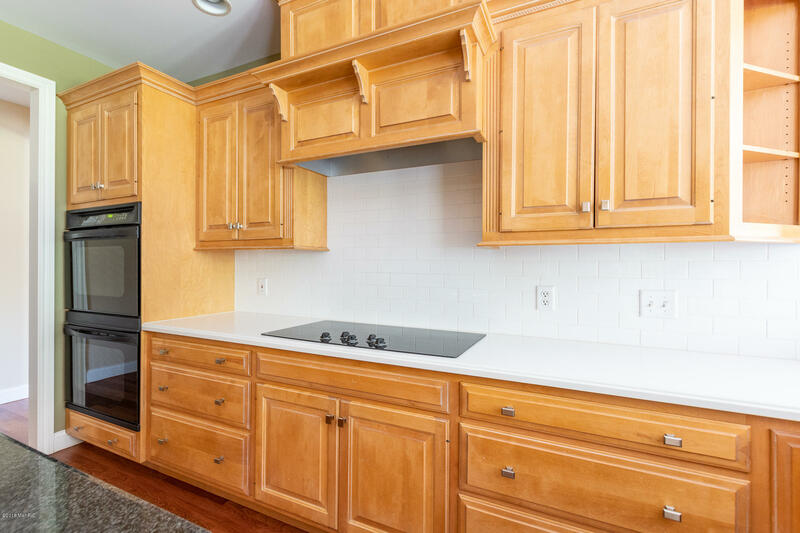 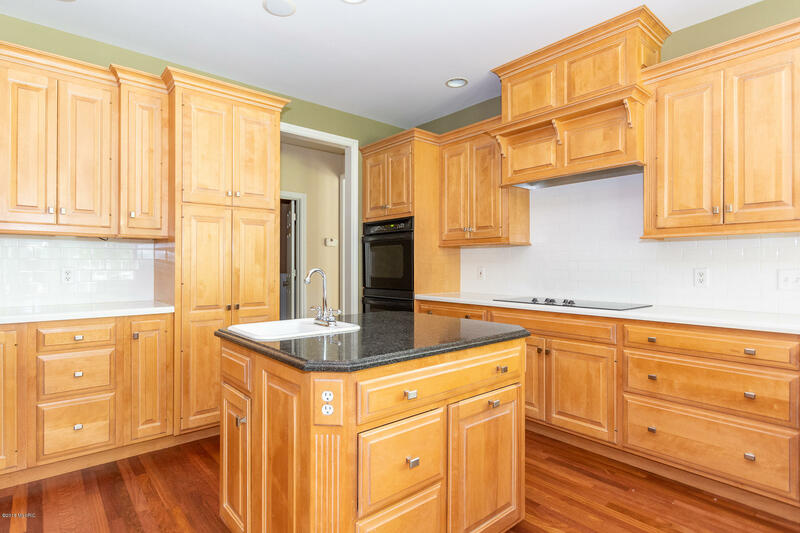 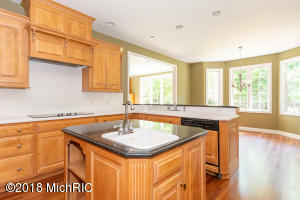 Fully appointed kitchen designed by Kirshman includes Granite center island, dual sinks, and built-in appliance package. 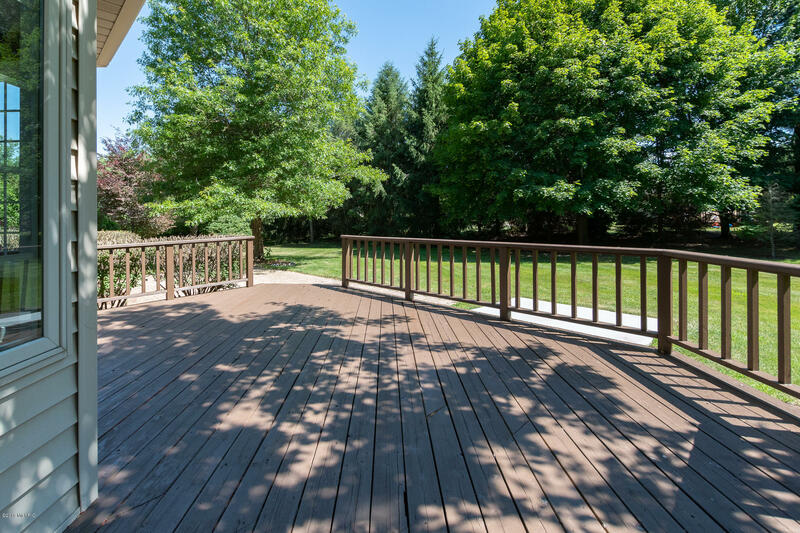 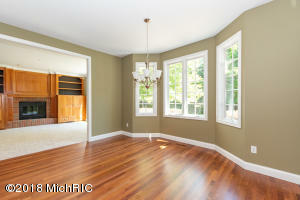 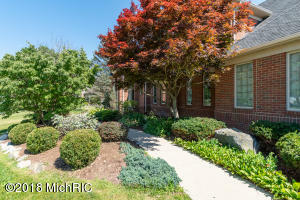 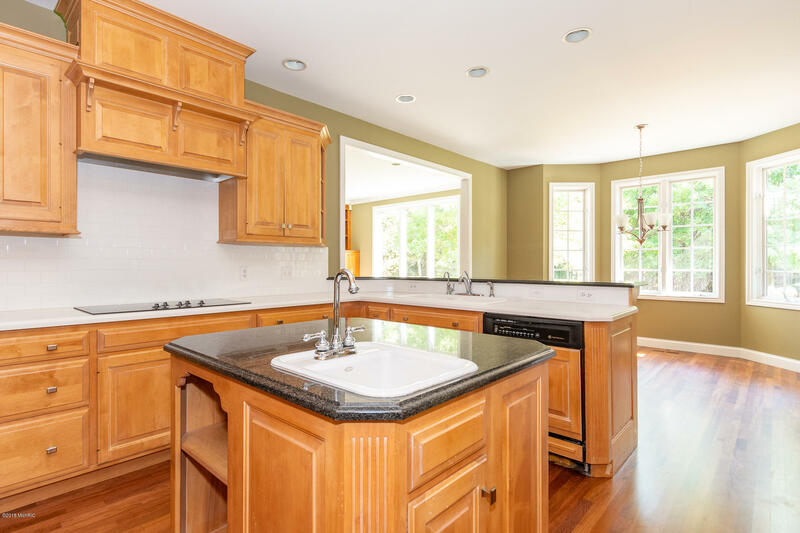 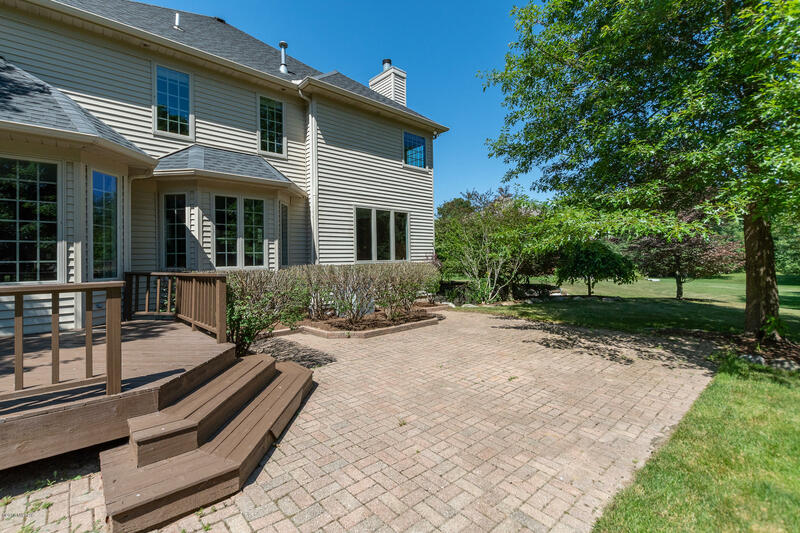 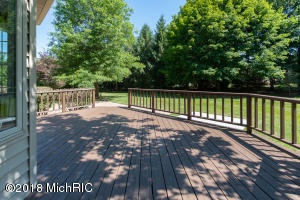 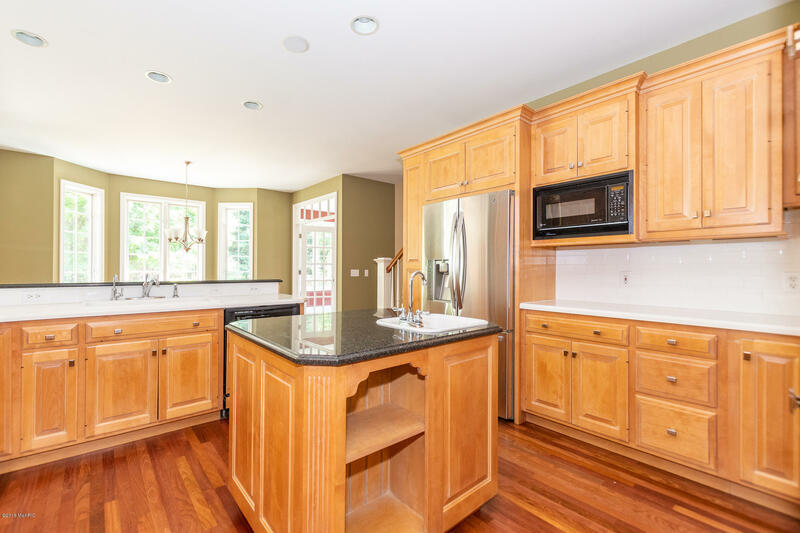 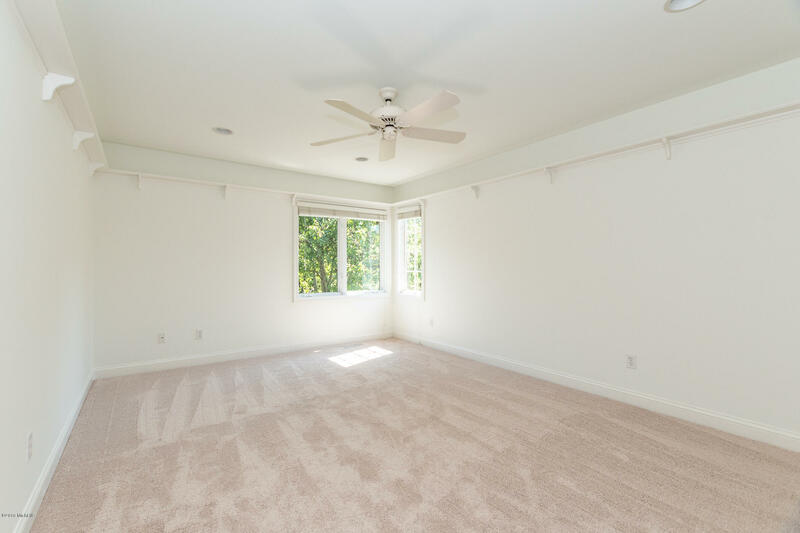 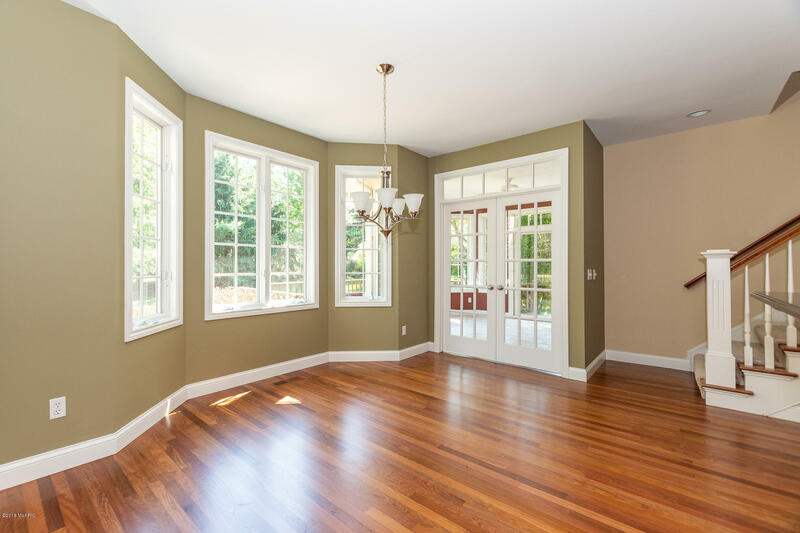 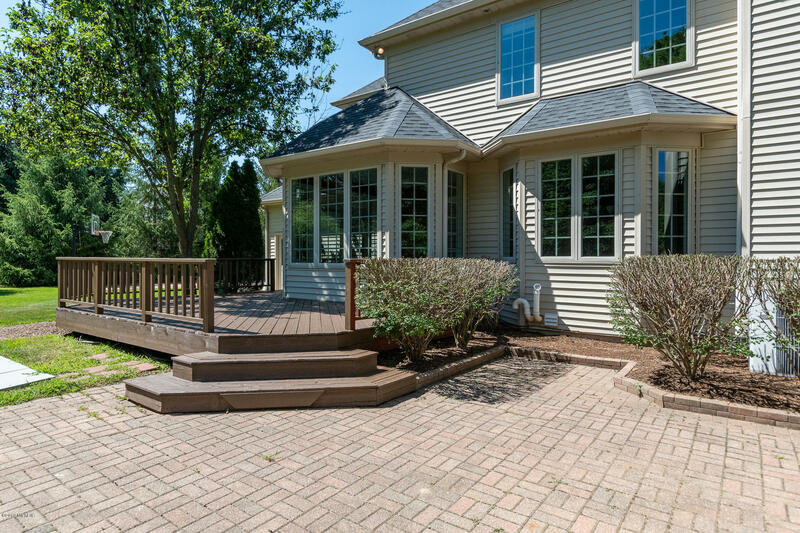 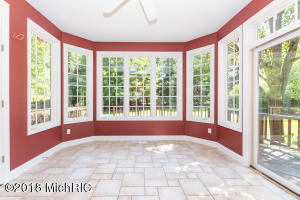 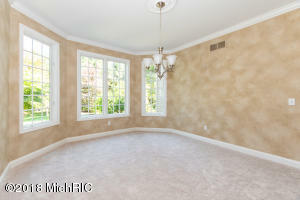 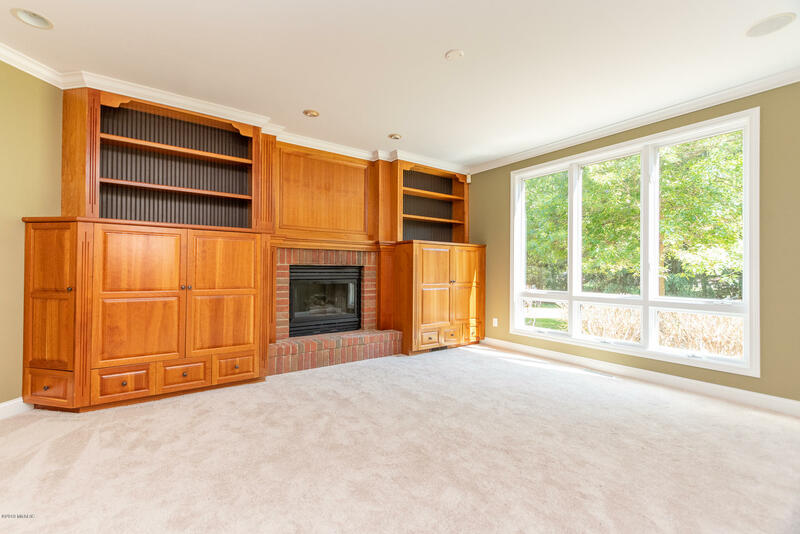 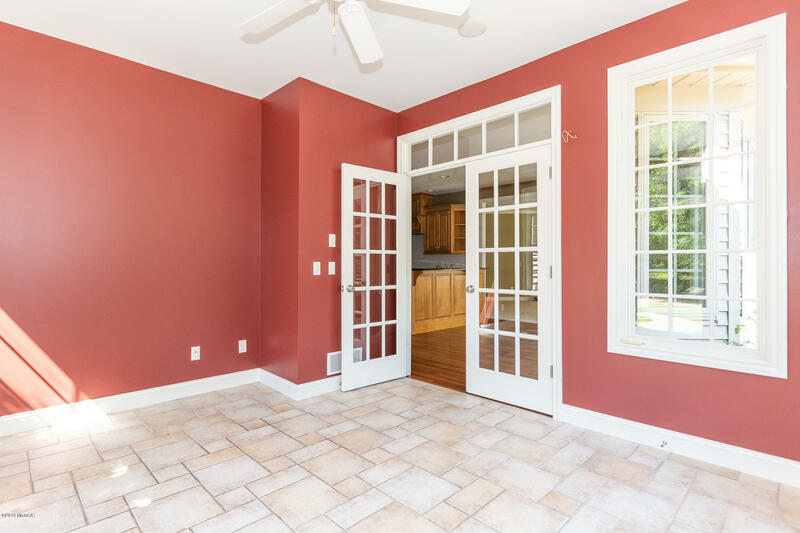 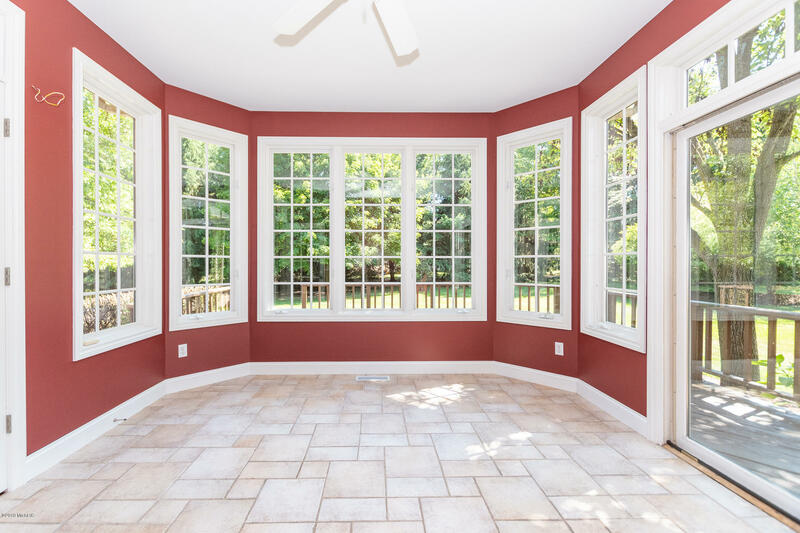 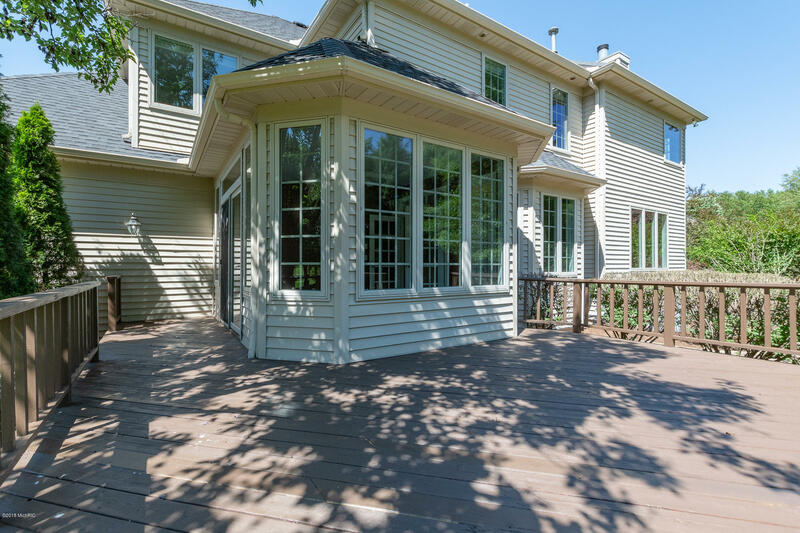 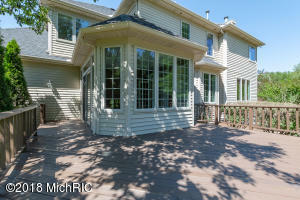 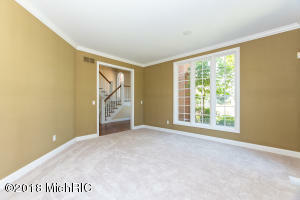 Light and bright sun-room off the kitchen overlooks expansive backyard, private views. 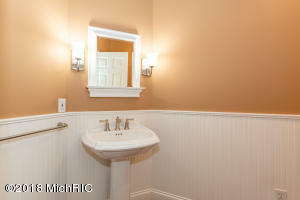 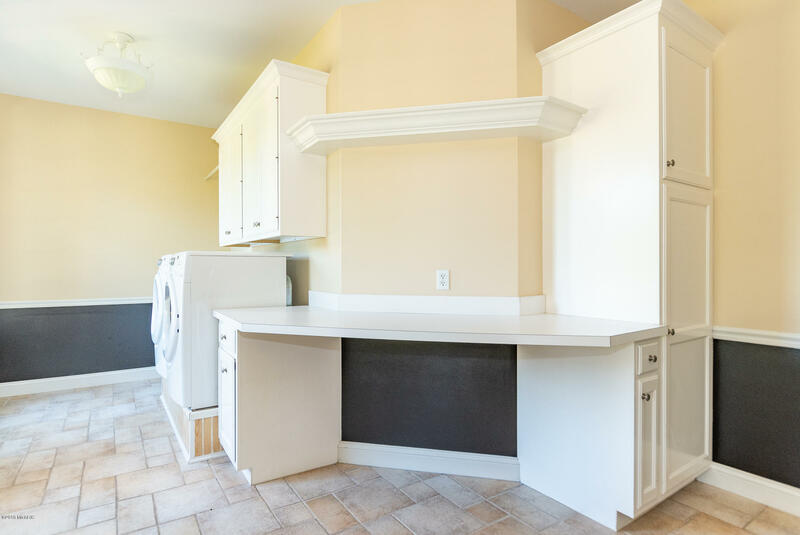 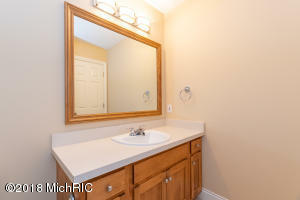 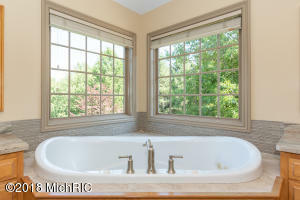 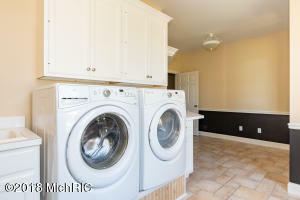 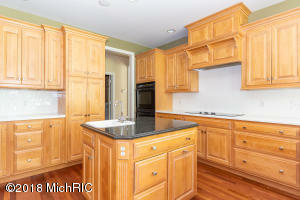 ALL NEW; Carpet, Paint, Plumbing and Electrical fixtures, Kitchen Backsplash, Master Tile! Gas log fireplace in family room surrounded by custom built armoire. 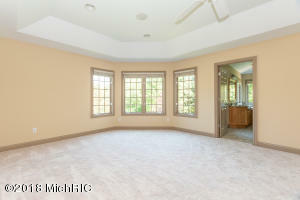 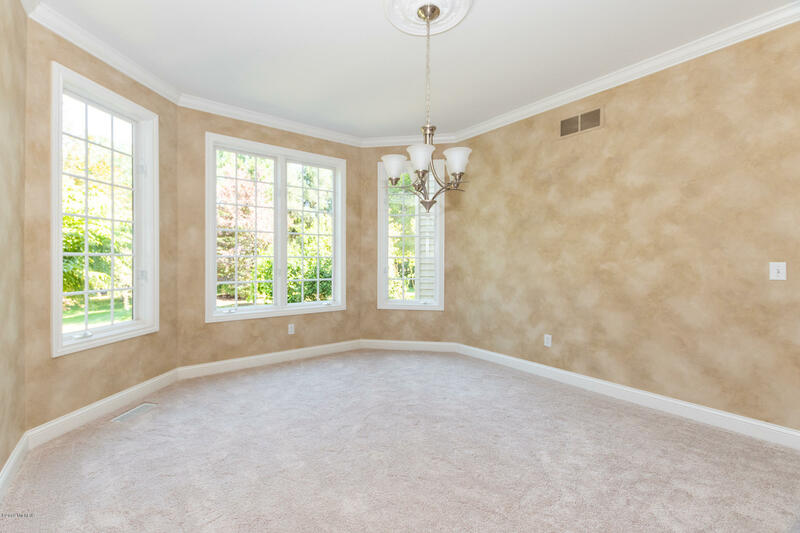 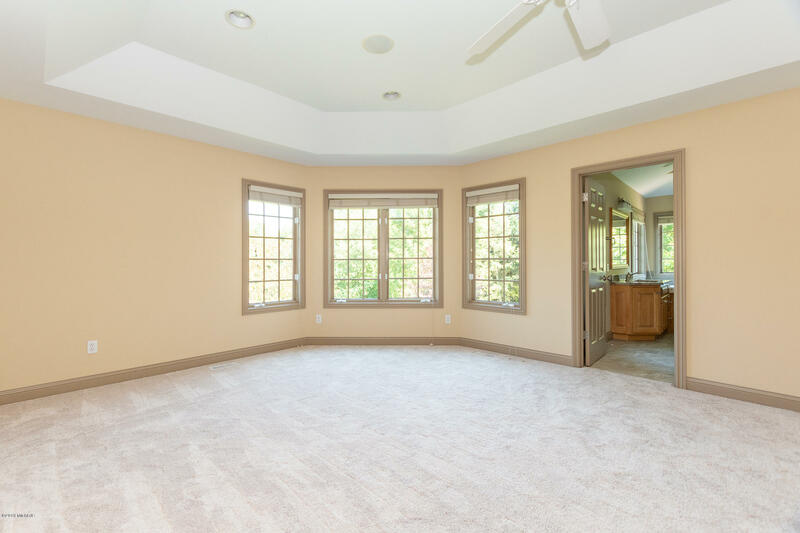 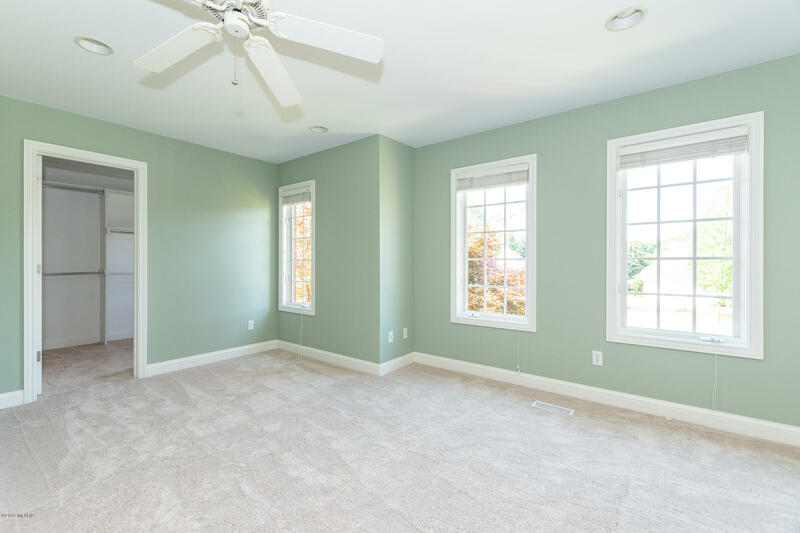 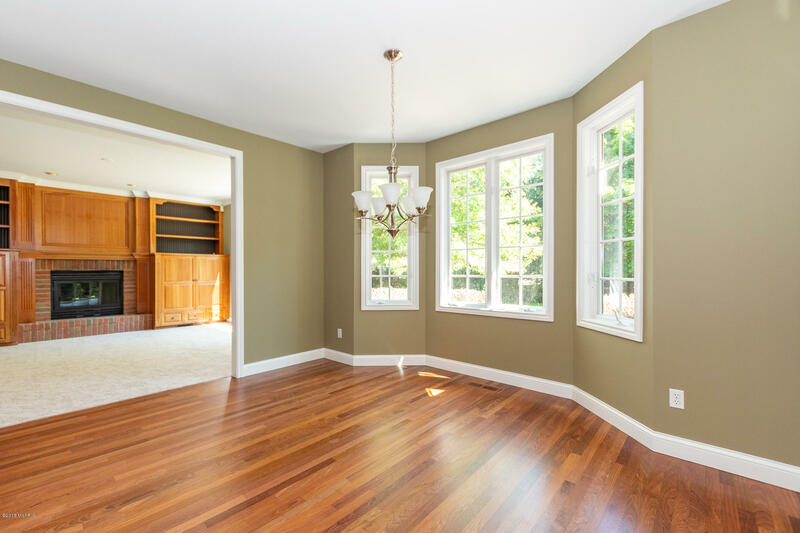 Formal dining room, piano room, and Laundry on the Main floor. 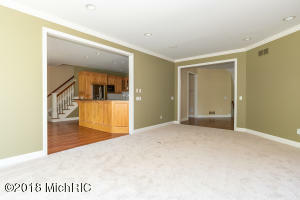 Four bedrooms up including the master. 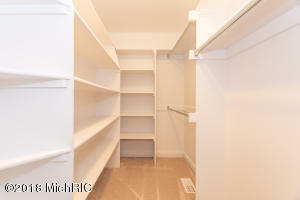 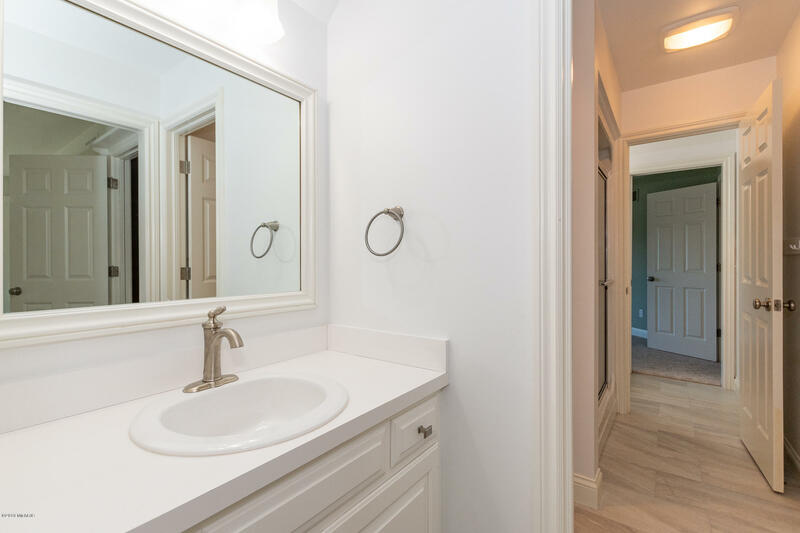 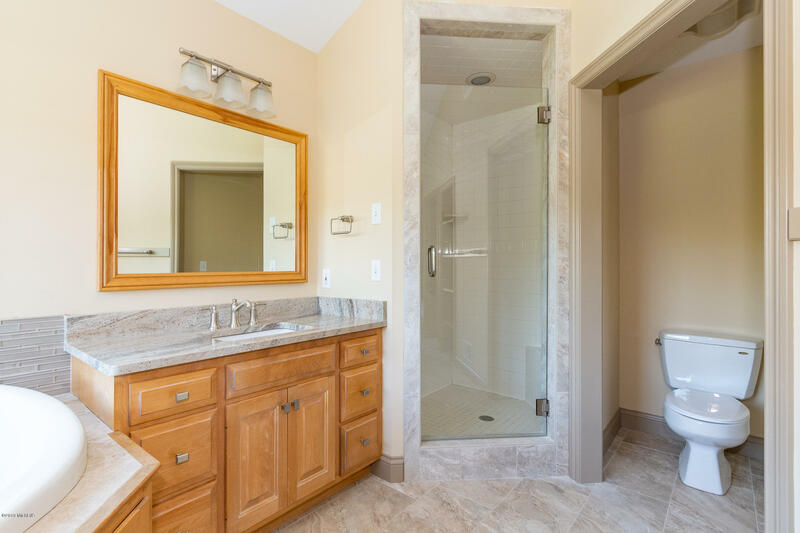 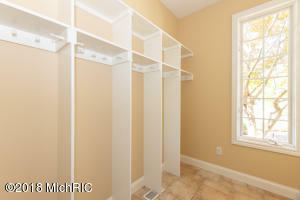 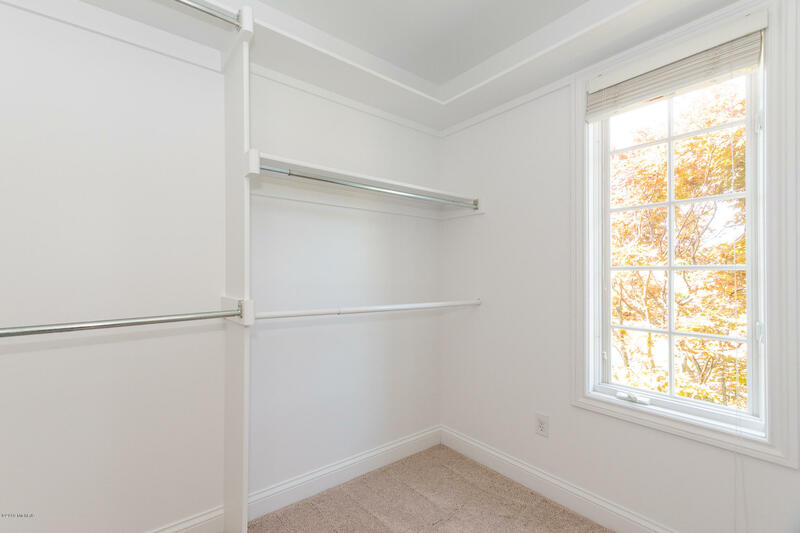 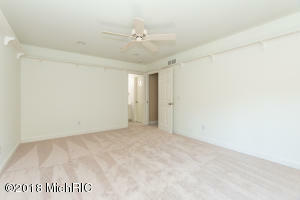 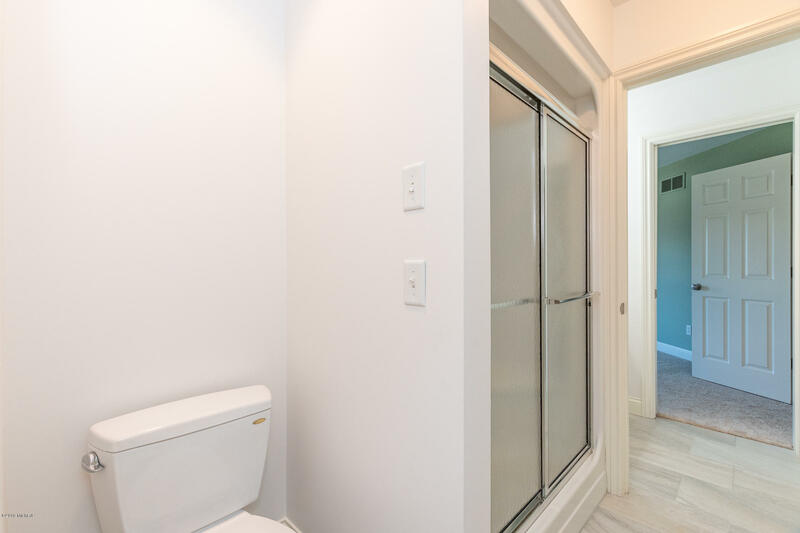 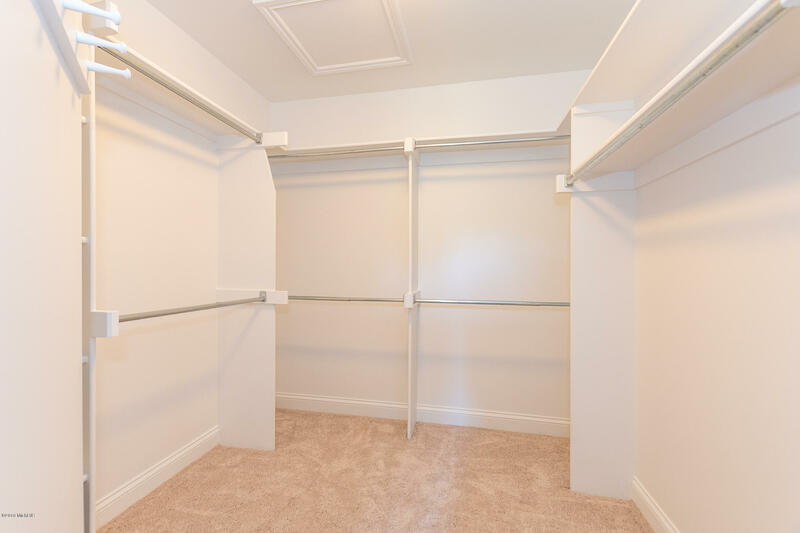 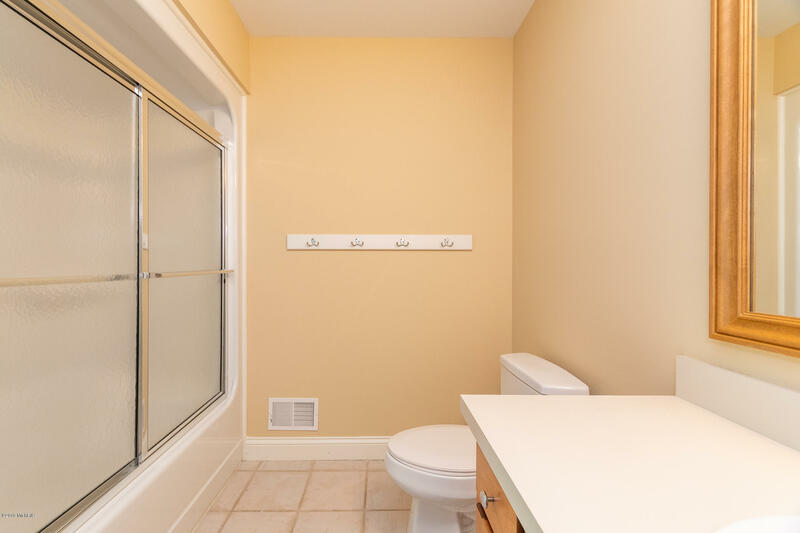 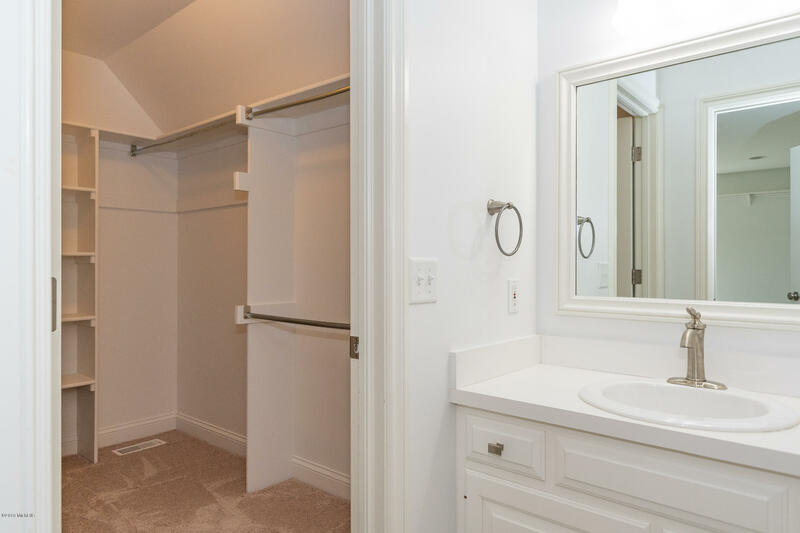 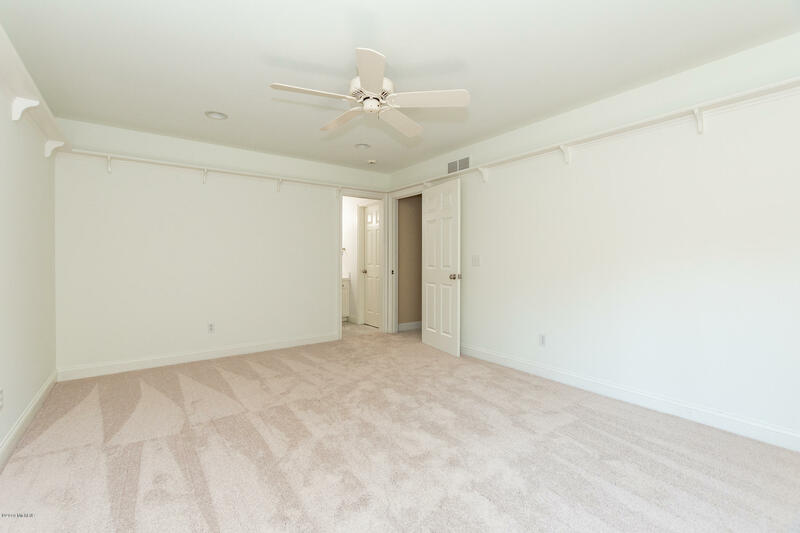 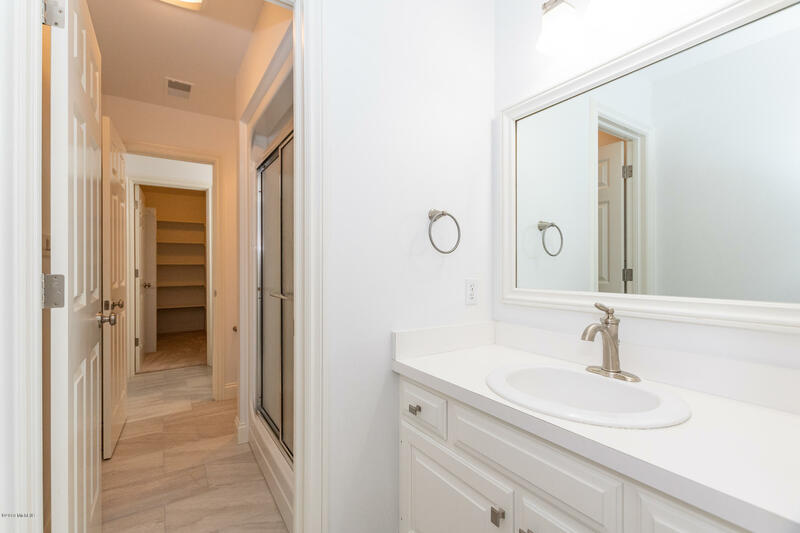 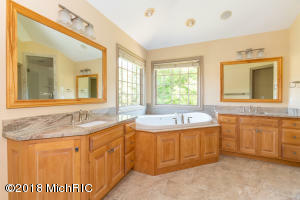 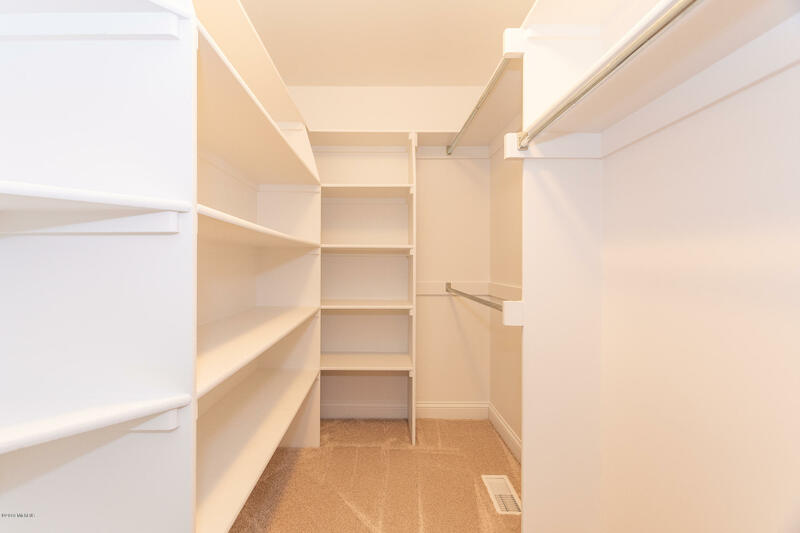 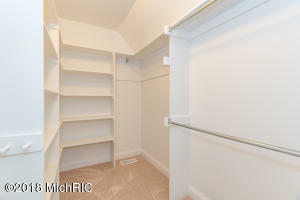 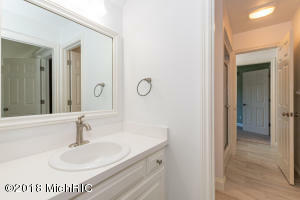 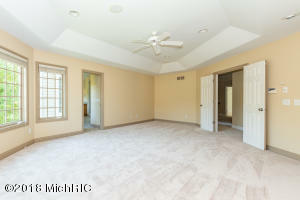 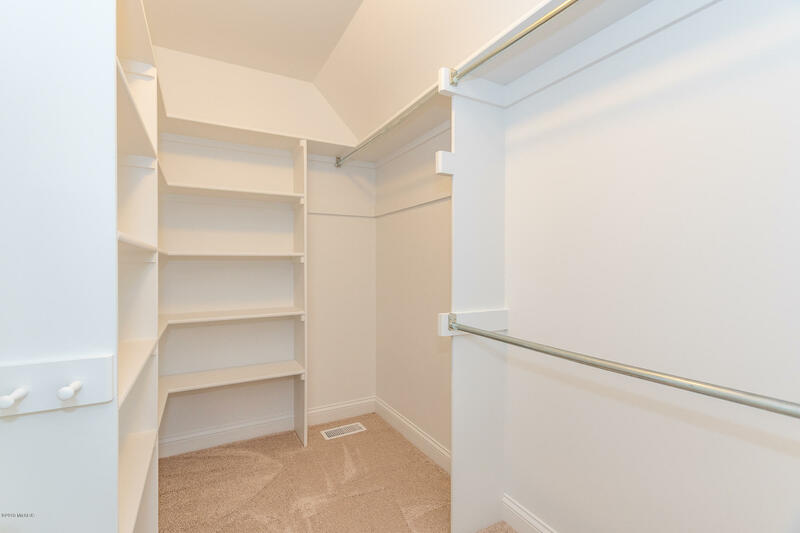 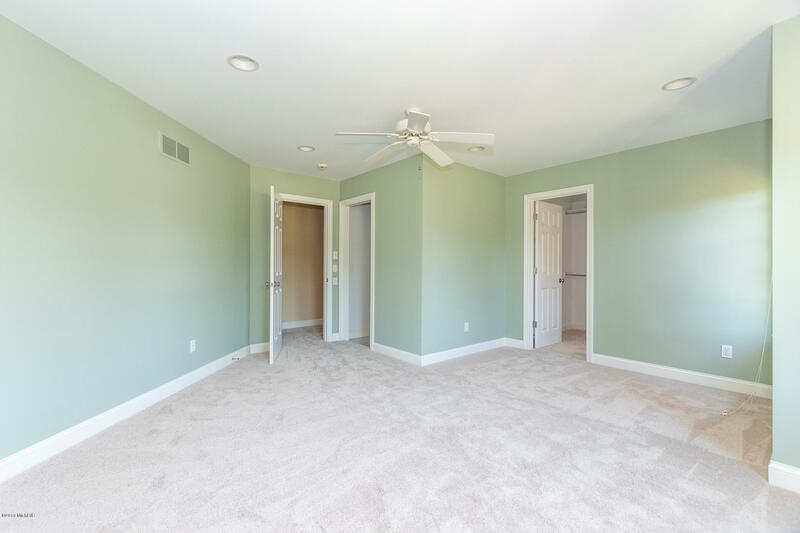 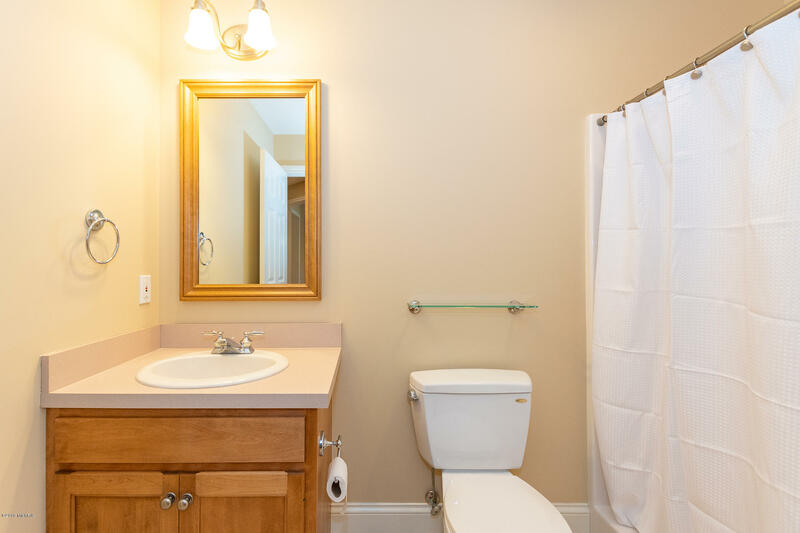 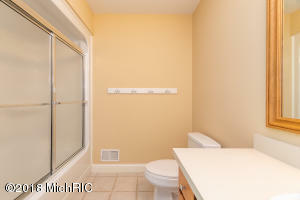 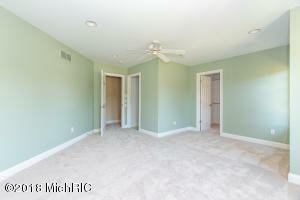 All bedrooms have full bath access and walk-in closets. 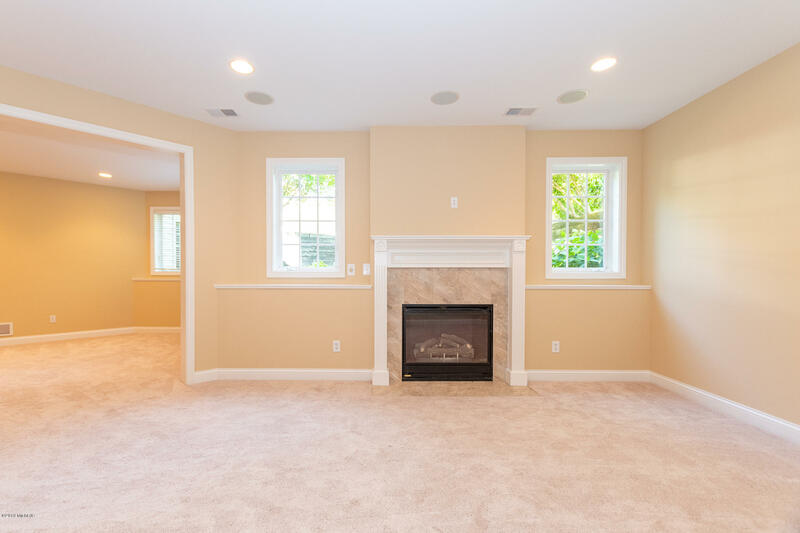 Surround sound. 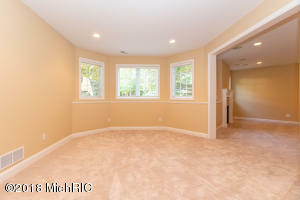 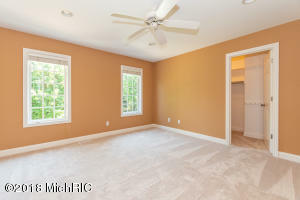 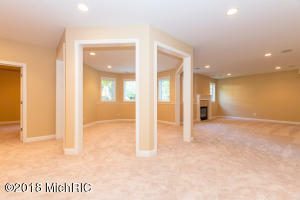 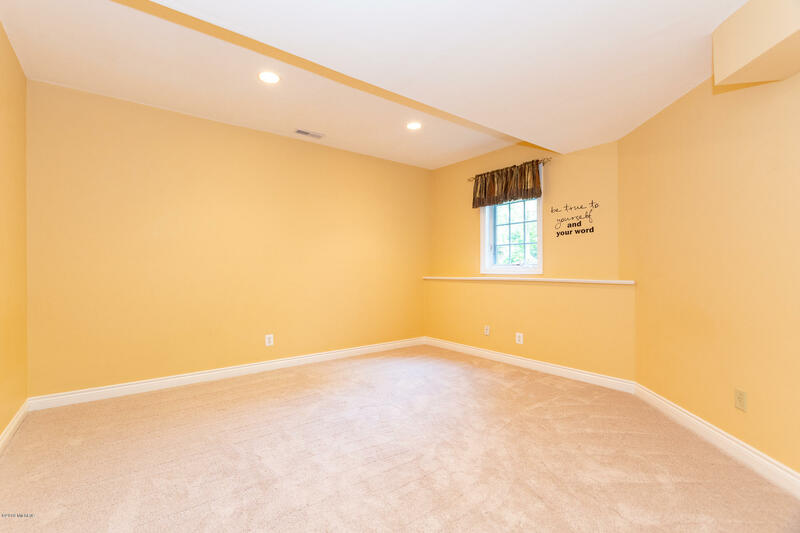 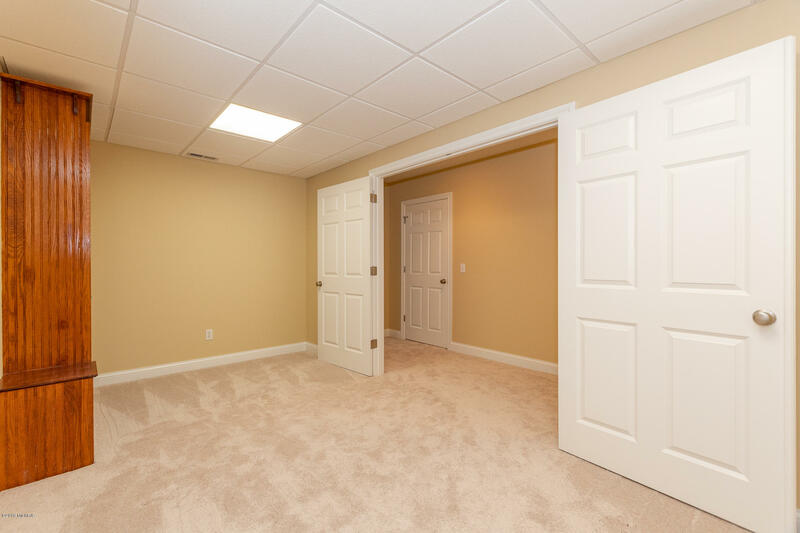 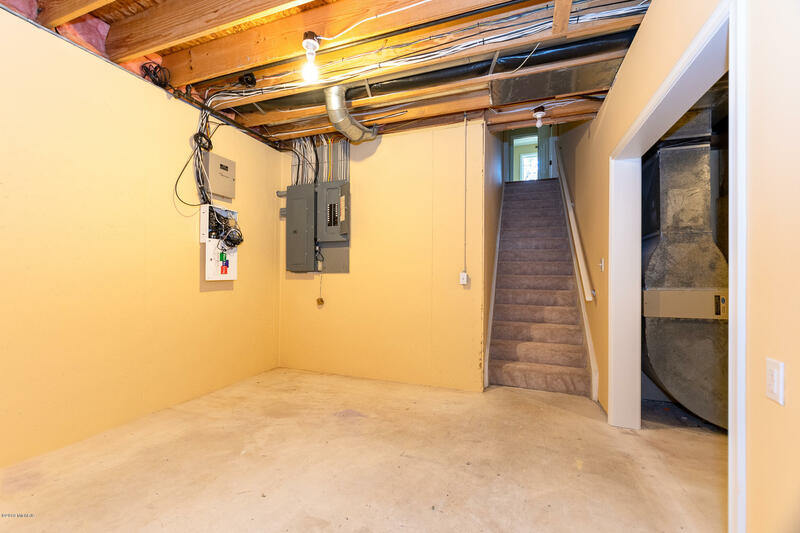 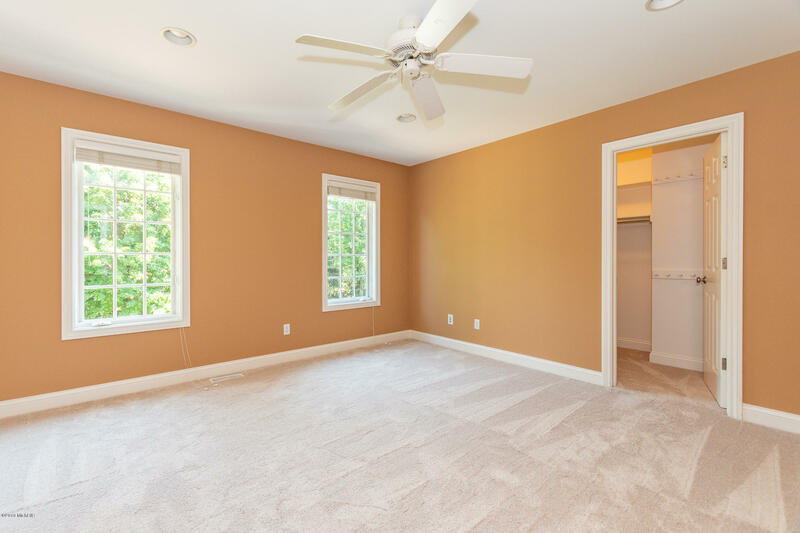 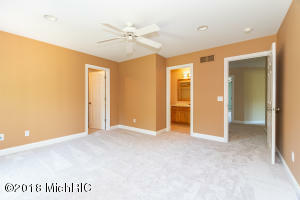 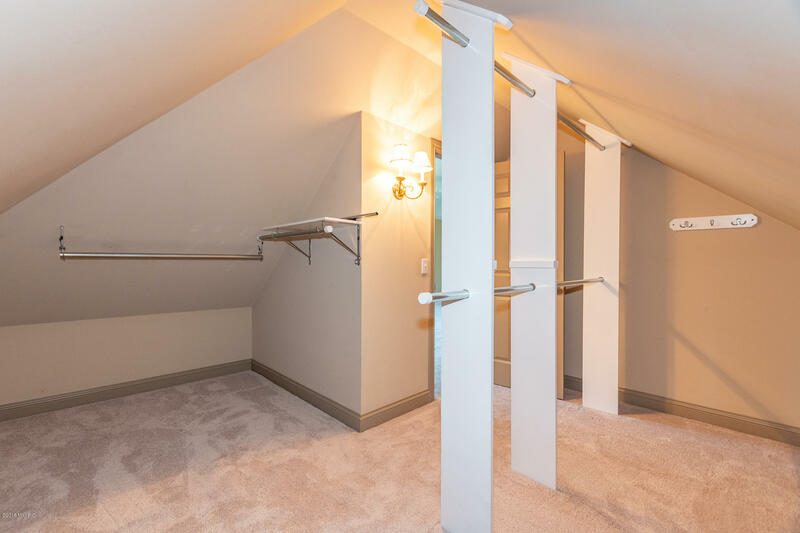 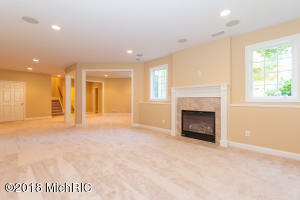 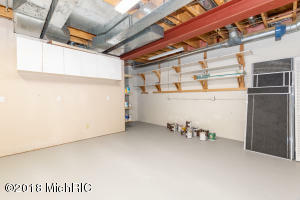 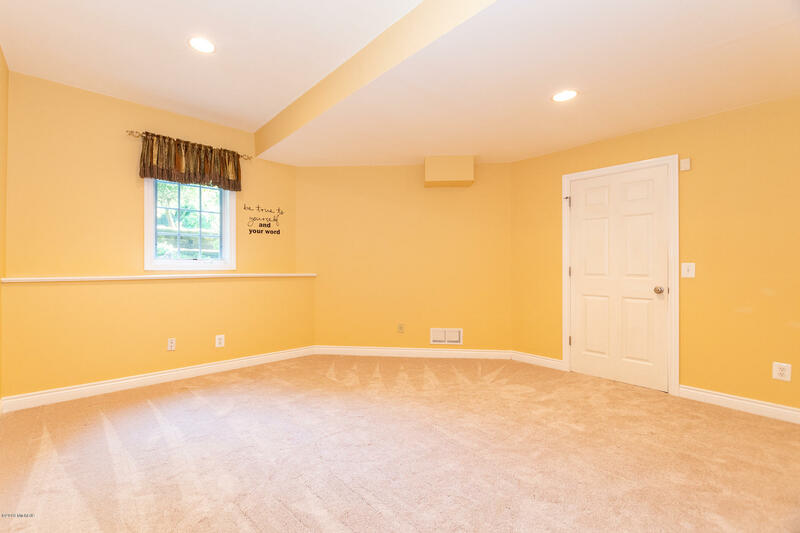 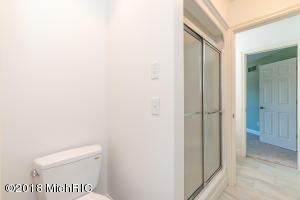 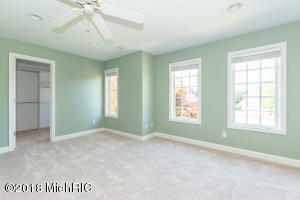 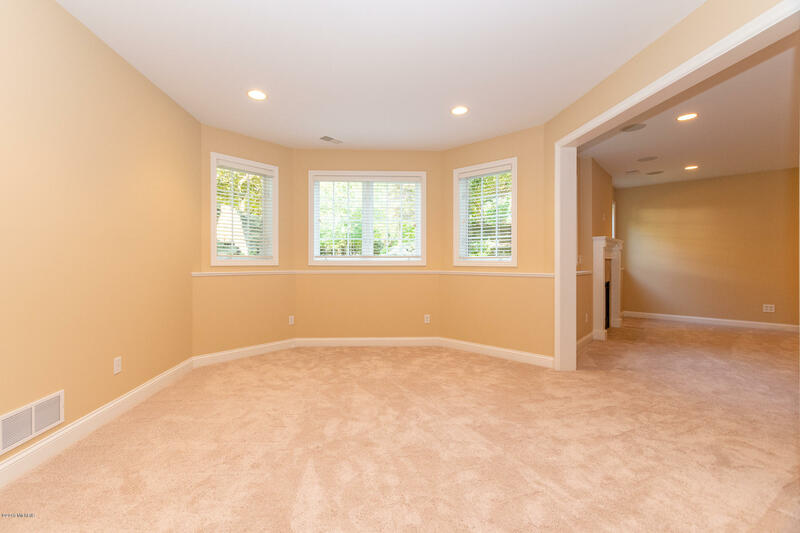 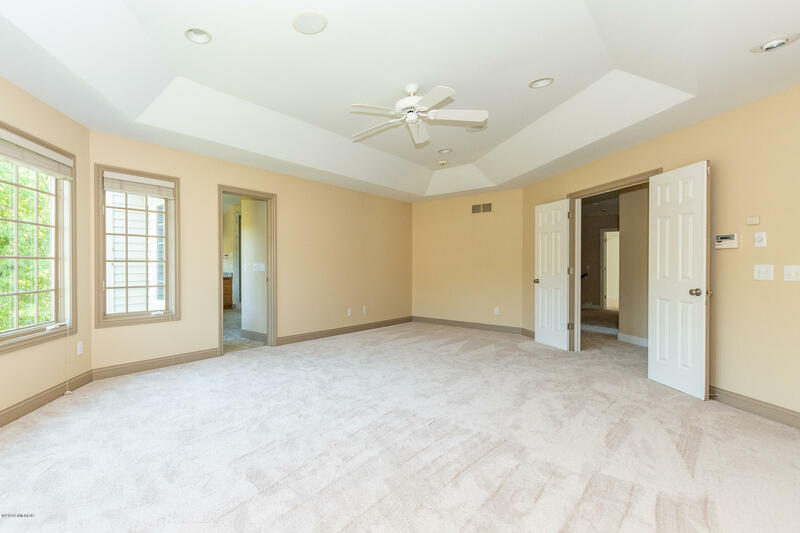 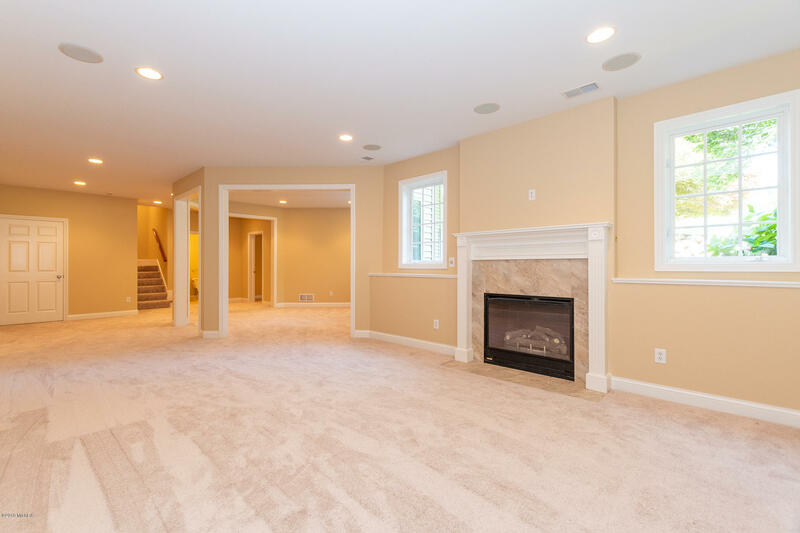 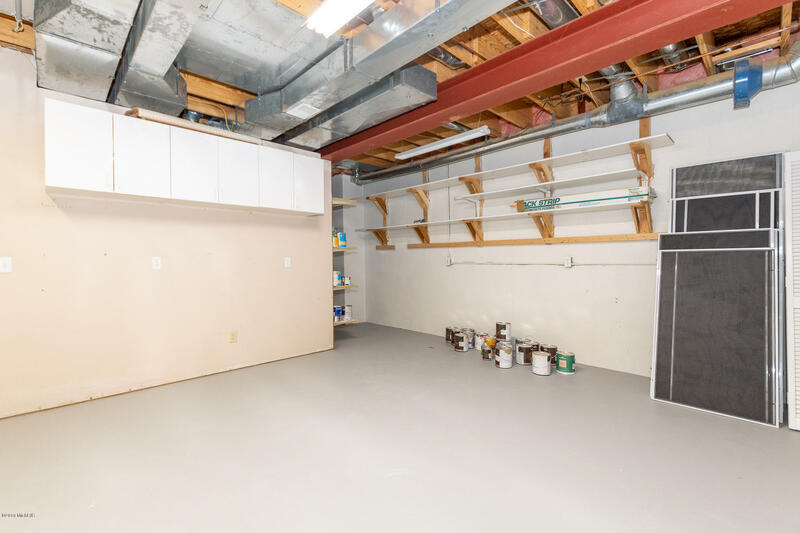 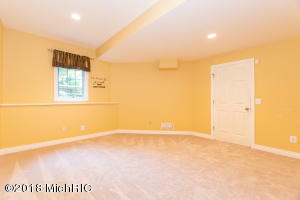 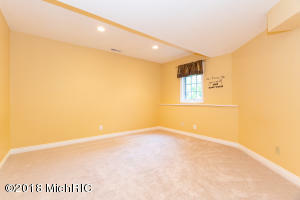 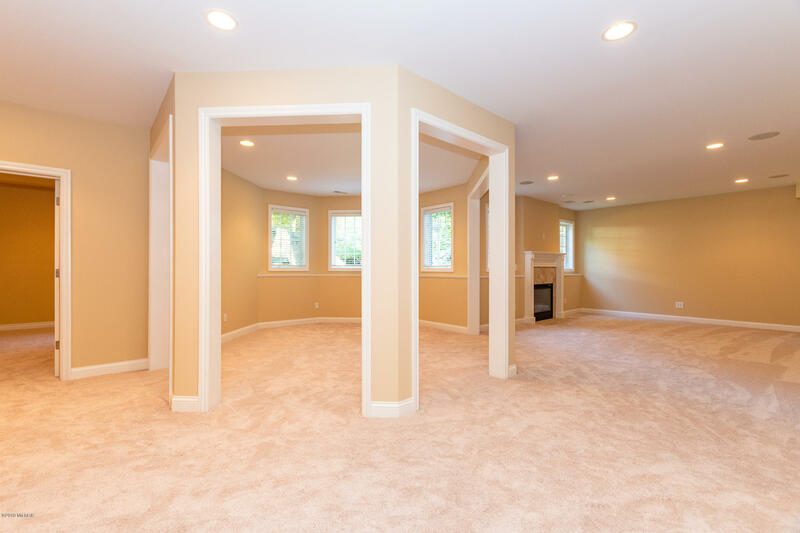 Finished basement with guest suite. 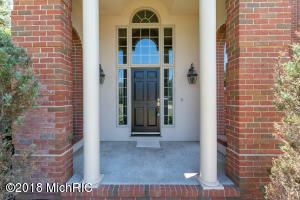 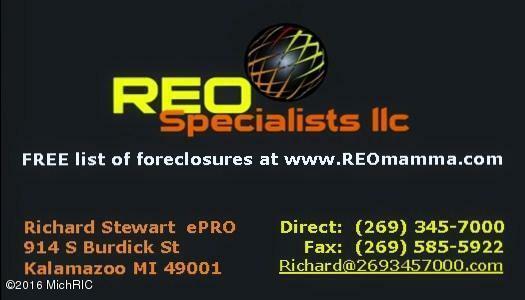 Exceptional quality home, TAXES NON-HOMESTEAD.